Inverness is the largest city and de facto capital of the Scottish Highlands. Nearly a quarter of the population of the Highlands live in or around it, so it’s clearly an important town - it's even been voted the best place to live in the country more than once. 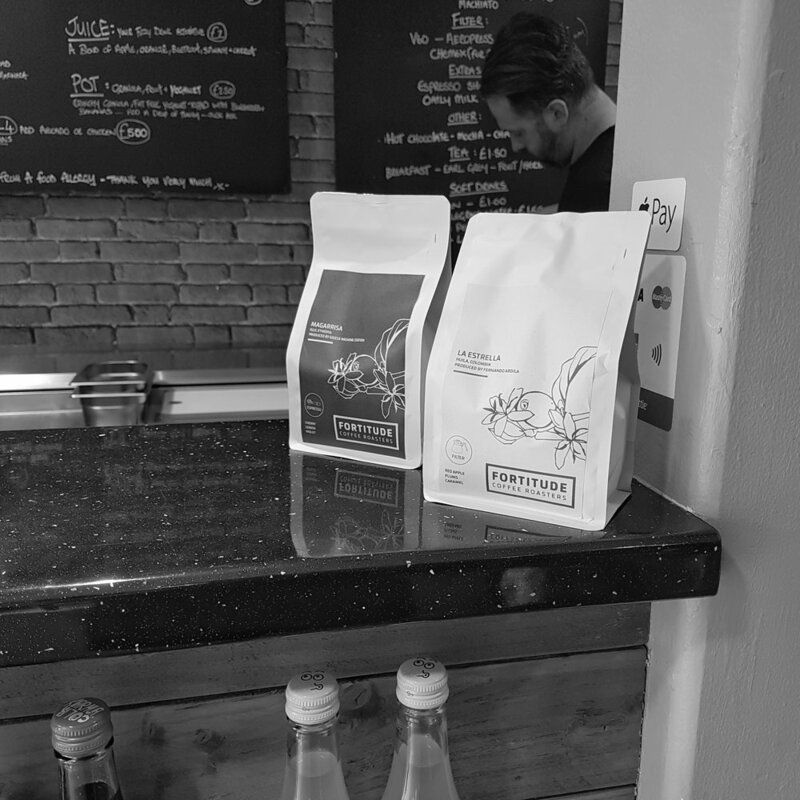 Until recently, however, finding good coffee in the area was difficult-to-impossible, meaning sixty thousand people had to make do with chain cafe mediocrity. That changed in 2015 with the opening of Little Bird Coffee House. Situated inside a live music venue, at the end of an unassuming street in Inverness city centre, Little Bird is an interesting proposition. From the street it doesn’t look like much, with a regular, almost mundane exterior; a sign above the automatic doors the only hint at what lies within. Little Bird takes up the foyer of the Ironworks for the morning and early afternoon on weekdays and Saturdays, before clearing everything away in time for the music to start each evening. Frankly that sounds exhausting, but it’s an interesting use of a space which would otherwise be left empty for much of the day. More and more cafes are attempting similar joint venues, and it makes sense for both parties. Perhaps you share space with a like-minded business - a bicycle shop, say, or a clothes store - or maybe you set up inside a wine bar which is only open at night. Each business gets reduced rent and a chance to share and expand a customer base. The fact that it is located in a music venue means Little Bird has a ready-made theme, with gig posters on the walls and flyers dotted throughout. 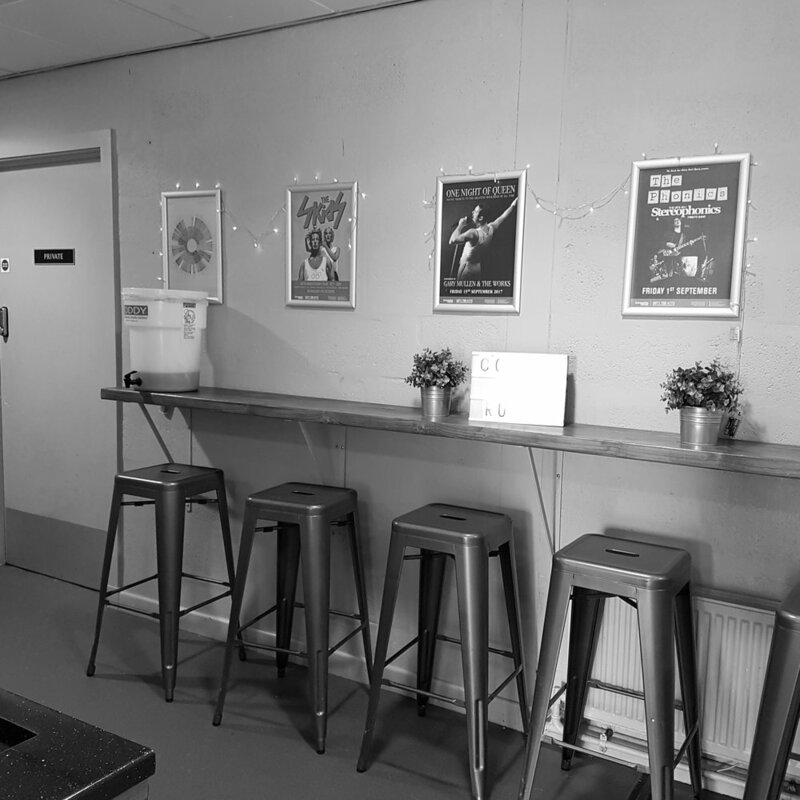 The bar is situated on the left as you enter, with the rest of the space taken up with two-top tables, a stool area towards the back and a small table for merchandise and brewing equipment. A La Marzocco Linea PB cranks out a rotating espresso selection, while filter coffees are available by Hario v60, Chemex or Aeropress. During my visit they were offering espresso by St Martin’s Coffee from Leicester, while Edinburgh’s Fortitude was the choice for filter. They were also experimenting with cold brew while I was there, an encouraging sign for the nascent iced coffee scene in this country. The Friday Street espresso from St Martin’s was well balanced and sweet, with just the right amount of chocolate bass note. 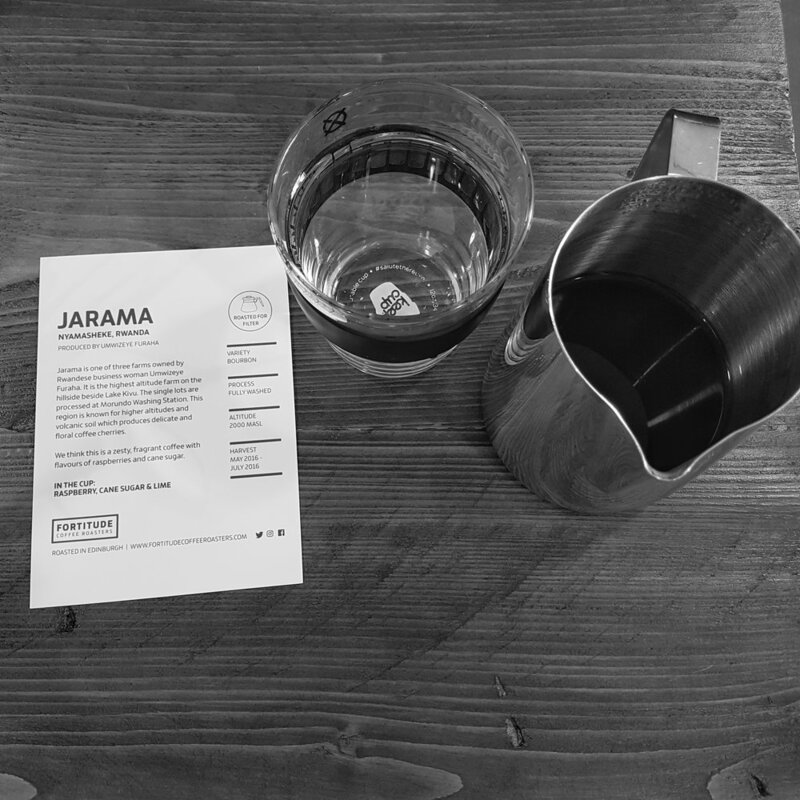 To follow, the washed Rwanda Jarama from Fortitude as a v60 pour-over was bright and delicate, although it did seem to be missing some complexity in the cup. Little Bird also offers a good selection of sandwiches, wraps and cakes, appealing to the office workers and business people who populate the area. For the month of May Little Bird are offering all pour overs for £2, to encourage customers to expand their horizons away from standard coffee-and-milk drinks. It hopefully also serves to persuade potential customers to leave the safety and chain store security of the main part of town and make a journey in search of a better cup of coffee. Little Bird are doing their part to raise the coffee game in the Highlands, and for that they should be applauded. 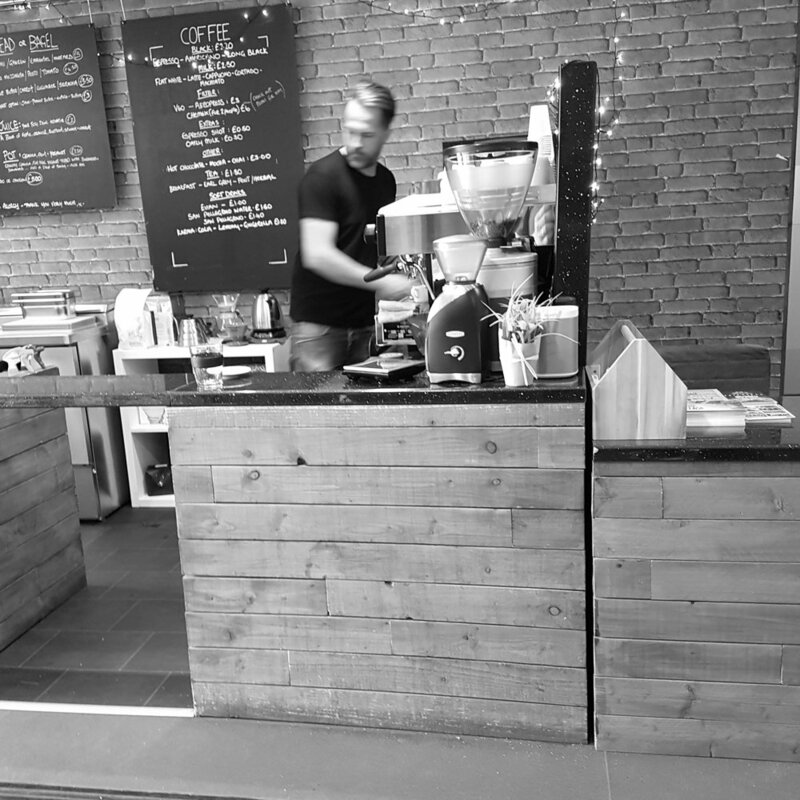 Whilst it feels slightly strange to be drinking coffee in the foyer of a music venue, Scotland needs more cafes to offer good quality coffee wherever they can, and it makes sense to share space with other, like-minded businesses. Perhaps they will inspire others to do likewise. 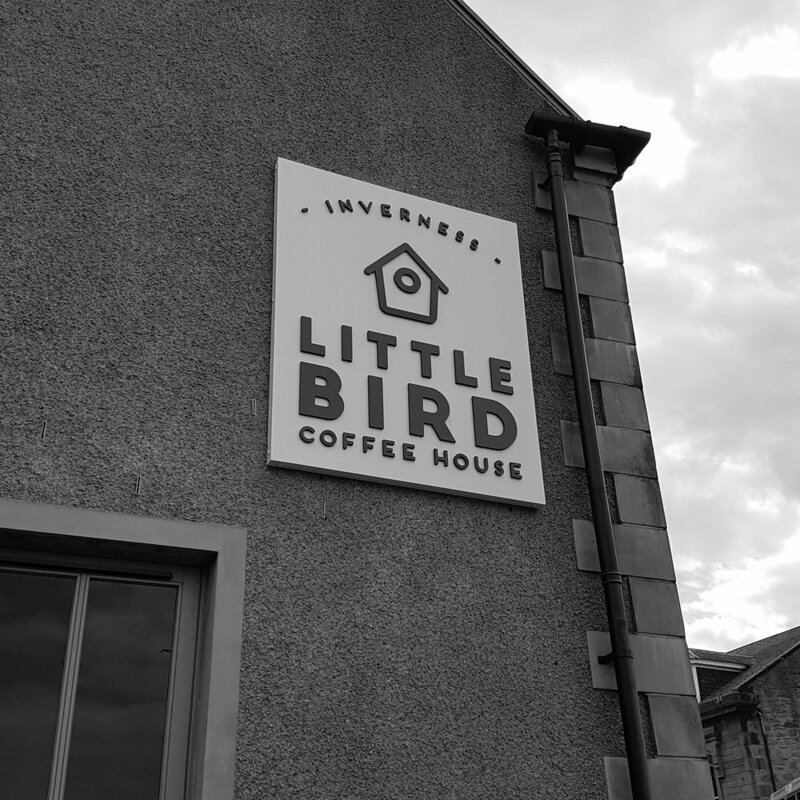 At the very least, Little Bird are offering the people of Inverness an alternative to the usual bland coffee options, and that can only be a good thing.